This Midsleeper combination incorporates a new rounded Pull Out Desk and features rounded headboards and Cube Unit. Pull Out Desk and Cube Unit produced in hardwearing MDF. 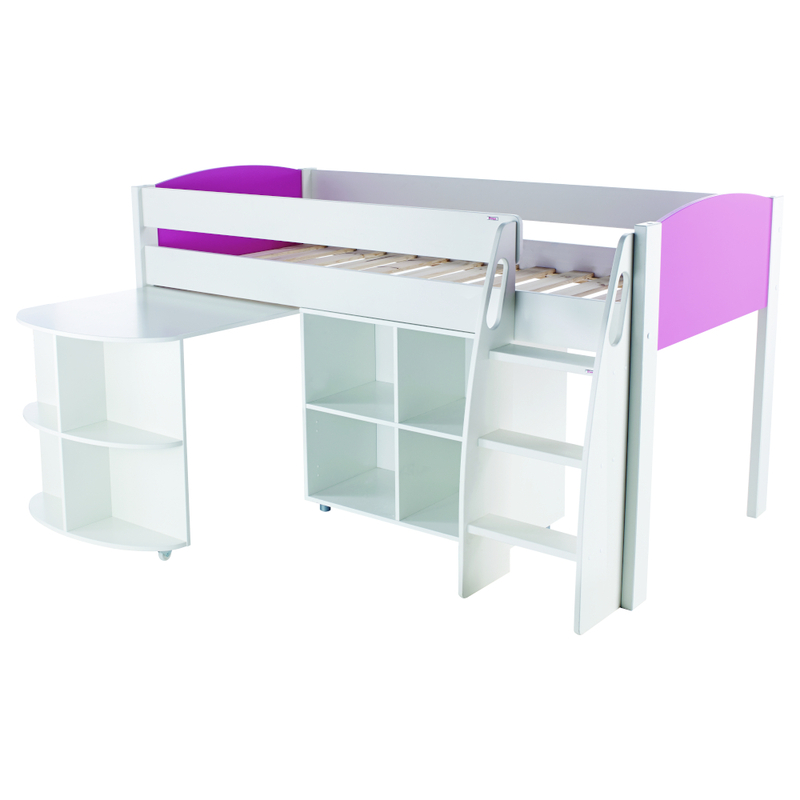 A great bed for little artists who like to draw and do their homework using their well designed work station desk. Attractive design with deep ladder and ergonomically designed treads making it easier for your child to climb up and down. Cut out grab handles on the ladder for your child's comfort and safety. Why not add a pair of sleek lined push-to-open doors to your order. Includes Uno S Midsleeper with Pull Out Desk and open Cube Unit. Size of Cube Unit H719xW799xD399mm. The Cube Unit can be positioned either in the end of the bed or next to the Pull Out Desk. Doors sold separately or see special combination including double packs of doors for even greater savings.